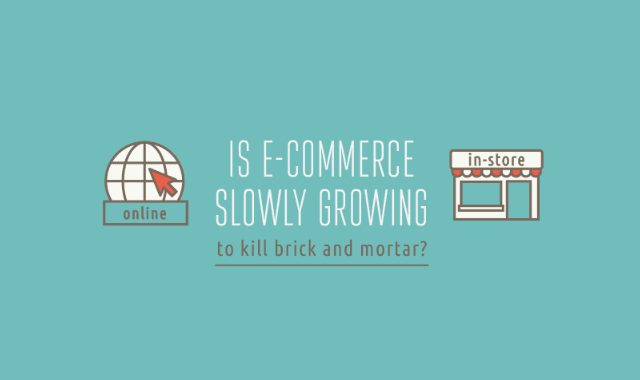 Is E-commerce Slowly Growing To Kill Brick And Mortar? #Infographic ~ Visualistan '+g+"
Online sales increased at an astounding rate in the past few years, yet there are a lot of people who still prefer the more hands-on "going to the store" shopping experience. In USA the total offline sales are 10X bigger than online. However, the online shopping business is growing 3x faster than offline. Is the former coming to get the latter by the throat? Let's find out.